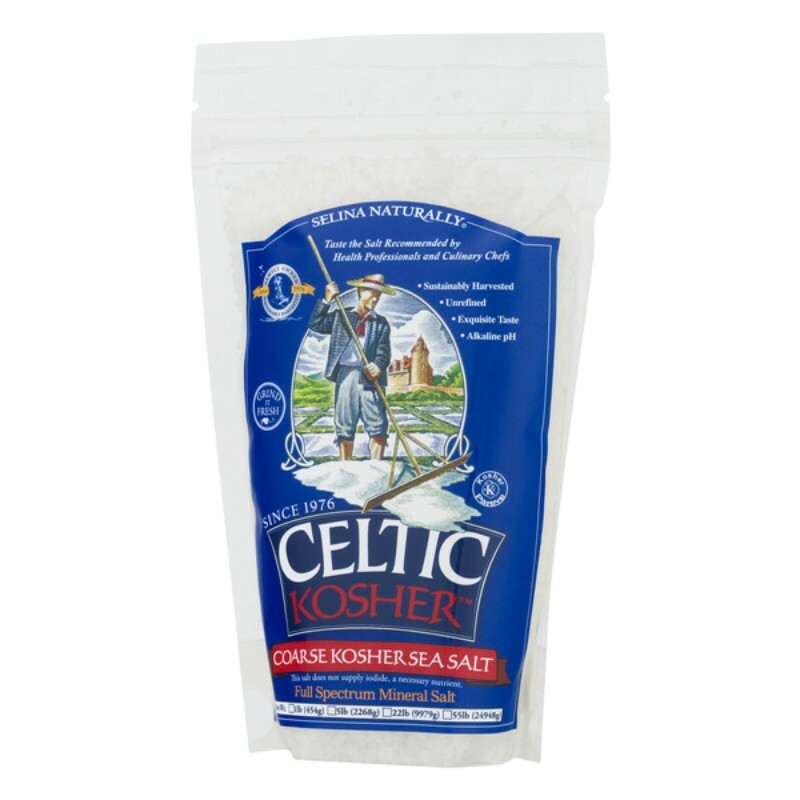 Celtic Kosher™ Coarse sea salt is a pure unrefined, delicious, moist Kosher sea salt. 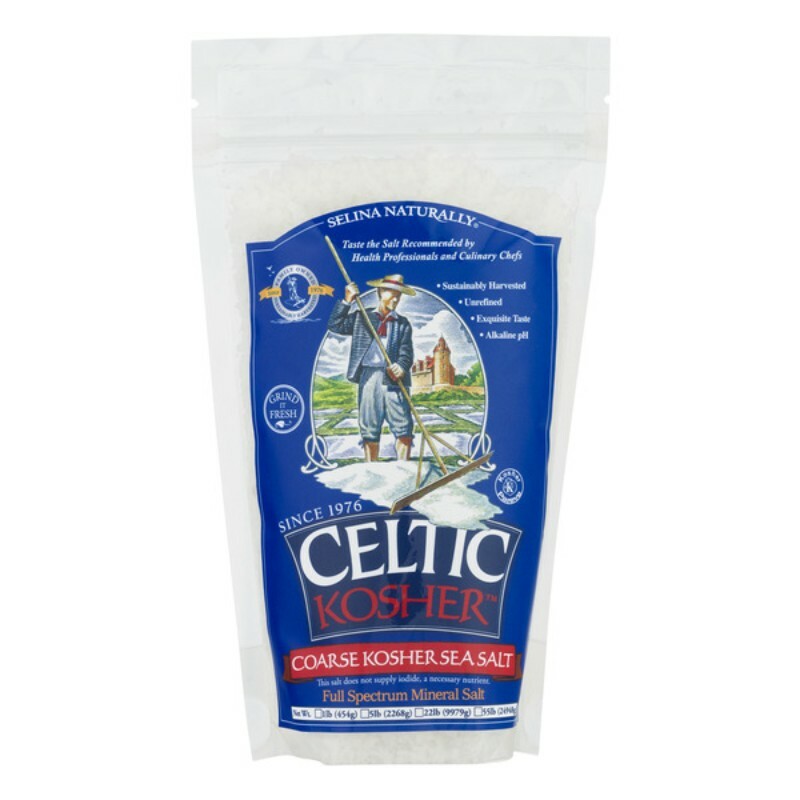 You don’t have to use much of this salt because of its rich flavor content. 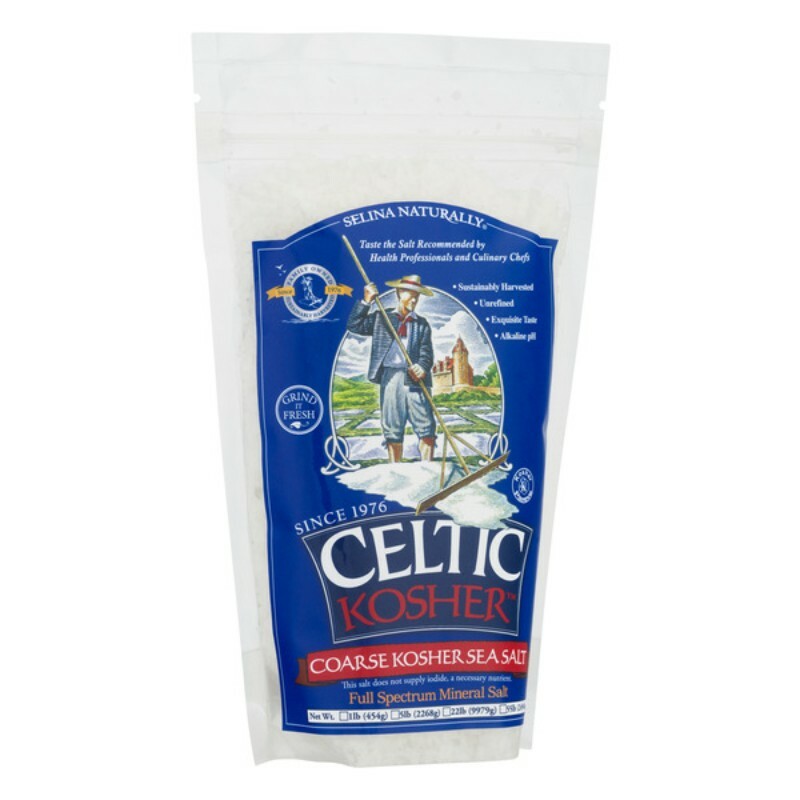 The coarse crystal texture is optimal for the salt mill as well as for cooking, or finishing. 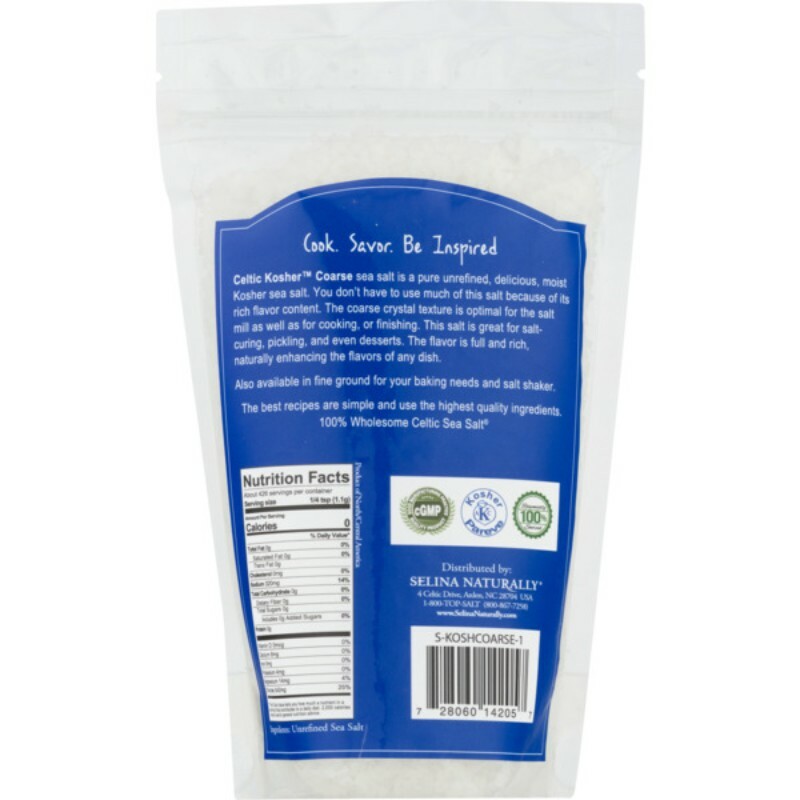 This salt is great for salt curing, pickling, and even desserts. 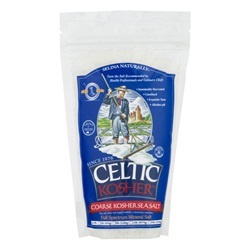 The flavor is full and rich, naturally enhancing the flavors of any dish. Also available in fine ground for your baking needs and salt shaker.